Thanks for posting this Faith. It's great to have something like this to share with our readers. Nice post, Faith. Thanks for sharing this! Yes, great blog. Tweeted it to my bunch. Thanks, Faith! Fantastic blog, thank you so much. 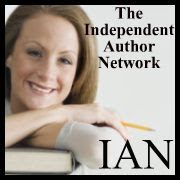 Faith, this is a great list of ways everyone can show their support for indie authors. I love the cartoon! One could spend their entire day on the Goodreads site!